A measure that would repeal the 30 percent alien withholding requirements and allow the domestic horseracing industry to further export its product to foreign markets is contained in the Foreign Sales Corporation (FSC) bill passed by the House last night (280-141). At this time, it is believed that the Senate has the minimum number of votes needed to pass the bill – 60, with 44 Republicans and 16 Democrats in favor of the measure – and preclude any filibuster by opponents of the tobacco provision contained in the FSC bill. The FSC bill is before the Senate today. The primary focus of the FSC legislation is to repeal subsidies for U.S. exports that the World Trade Organization (WTO) has deemed illegal. Key supporters of the Thoroughbred industry in Congress included language in the bill that would eliminate the 30 percent withholding tax that foreigners would pay on winnings for pari-mutuel wagers into U.S. pools. The 30 percent withholding effectively precludes common pooling by foreign countries into U.S. wagering pools. "This is a significant step in expanding the international market for American Thoroughbred racing," said National Thoroughbred Racing Association (NTRA) Commissioner D.G. Van Clief, Jr., "We are grateful to the NTRA members who have helped make this possible by contributions to the NTRA's Legislative Action Campaign and Political Action Committee." 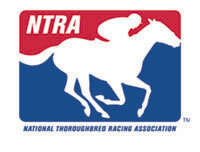 "The elimination of the 30 percent withholding has been one of our main legislative priorities for the last two years," said NTRA president Greg Avioli, who heads the NTRA's political initiatives. "It is gratifying to see this measure one step closer to passage. Opening new markets and increasing international common pooling will surely benefit NTRA member tracks and horsemen." NTRA officials expect that the elimination of the 30 percent withholding will help open the $85 billion international market for horseracing to U.S. common pooling. If five percent of that were to enter U.S. pools, another $4.25 billion in handle and some $135 million in commissions (at a 3 percent fee) would be realized by domestic racing interests. In addition to eliminating the 30 percent withholding, there is another benefit for the Thoroughbred industry. Should the FSC bill pass and the provisions to which the WTO objects are repealed, retaliatory tariffs imposed by the European Union will expire. The large list of products to which the tariffs are applied includes Thoroughbreds. The tariffs began last March at 5% and have increased 1% each month since. They now stand at 12% and can go as high as 20%.